The marijuana legalization train has left the station and is making its way across the US as more states begin seriously considering jumping onboard, with New York, New Jersey, Pennsylvania, Illinois, and Florida being the ones to watch. The emerging recreational pot market is a potential boon for insurers as well, though insurance professionals in this space have to consider the specialized risks and coverages associated with the cannabis business. One common exposure occurs in the business relationship between a grower or manufacturer, and dispensaries carrying their products that are increasingly requiring to be named as an additional insured on the policy. D&O and E&O policies are meanwhile evolving to address the managerial risks of those involved in the cannabis industry, demonstrating the rapid pace at which this insurance segment is blooming. Business owners are thus waking up to the fact that product liability insurance might not apply in certain situations, such as if an employee or budtender isn’t giving proper advice to customers on how products should be used, which could result in a bodily injury claim. “E&O coverage is really designed to fill that gap,” said Deneen. 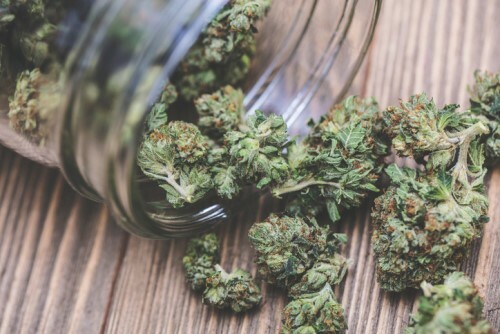 Carriers playing in the cannabis insurance space are also now turning over a new leaf in their pricing and product offerings to stay ahead of the competition in this burgeoning marketplace. “What we’re seeing is carriers getting more competitive in their pricing and broader in terms of their exclusions, so the same carrier that might have written a product liability policy with a problematic exclusion last year, they’ve recognized that this a competitive marketplace so they’re giving broader coverage than they have in the past,” said Deneen. Because of these developments, he recommends that brokers and agents with commercial cannabis clients get ongoing education and maintain close contact with insurance providers. “If you’re not staying in contact and routinely checking in with all the carriers that are writing this space, they may make changes without you ever being aware,” he explained.